It’s quite clever when a show marries something in pop culture with character development to satisfy the audience’s need to understand the talent as it reflects a topic of the day. 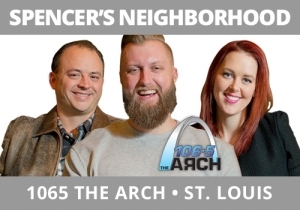 Enter Spencer’s Neighborhood, 106.5 The Arch, St. Louis who did just that with the Kentucky Derby last week. The topic amongst the cast and then with listeners on the phones was for each to share a short highlight of their weekend and then the team assigned you a Kentucky Derby horse name based on the experience. Spencer and his team get so much done in a few short minutes, which requires additional prep because they have very little time to waste. Listen as this is wonderfully set up in the first few seconds with audio of the event, hooking the audience, and then tied that to pop culture to contemporize the show along with short stories from the weekend, all leading to humor.